Blood clot. Those two words can be terribly frightening. Blood is supposed to clot -- this is how the body stops bleeding, according to WebMD. We've all seen a blood clot in the form of a scab and a bruise. But sometimes, blood clots when it's not supposed to. When this happens, you can suffer serious medical problems such as a stroke or heart attack. 1. Swelling in one limb. 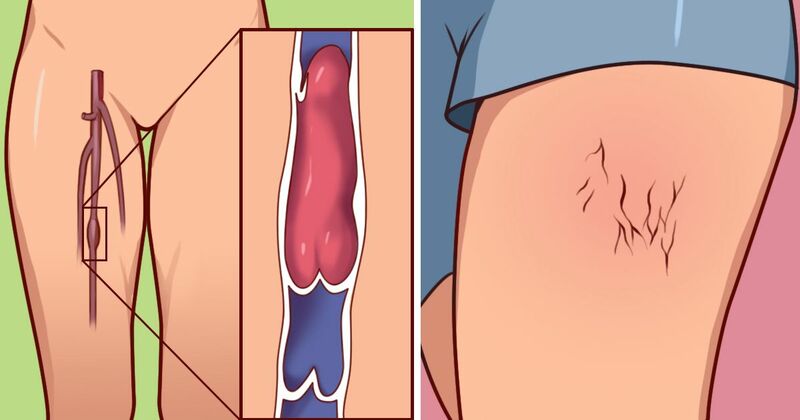 This is a symptom of a type of blood clot known as deep vein thrombosis (DVT) that prevents blood flow in the circulation system. DVT is especially dangerous because it prevents oxygen from reaching vital organs, explains Prevention. 2. Leg pain or tenderness. A common symptom of DVT is pain or tenderness in the leg, notes the National Blood Clot Alliance. This pain is sometimes described as a cramp or charley horse. 3. Red streaks on your skin. Remember, a bruise is a form of blood clot. But if you see red streaks running along the length of your veins, know this is no normal bruise. Seek immediate medical attention. Prevention says these red streaks often make the limb feel warm to the touch. 4. Chest pain with deep breathing. If you experience these symptoms together, the National Blood Clot Alliance says you may be experiencing a blood clot in the lungs, known as a pulmonary embolism (PE). If you have any of these symptoms, seek immediate medical attention as this blood clot can quickly turn fatal. 5. Shortness of breath. If you have trouble taking deep breaths, you may have a blood clot or PE in the lungs, says Prevention. You may also experience a fluttering in the chest, a racing heart or dizziness. Any of these symptoms warrants immediate medical attention. 6. Unexplained cough. If you are coughing for no reason, Prevention says to pay attention to your heart rate, chest and breath. If you have an unexplained cough with any of the above symptoms, call your doctor. If you think you or a loved one are experiencing a blood clot, seek immediate medical attention. Call your doctor or 911 or get to the hospital. A blood clot can be fatal. Don't take the risk. Save a life. Share this article on social media.